Abigail Kent, AHS Concert Artist 2017-2019 shares her experiences and offers tips to competitors! 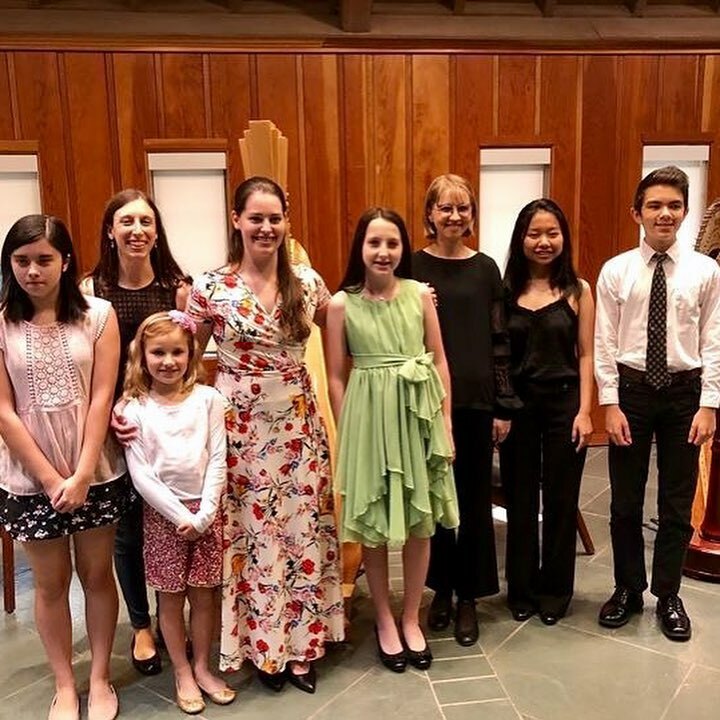 — American Harp Society, Inc.
Abigail Kent, AHS Concert Artist 2017-2019 shares her experiences and offers tips to competitors! 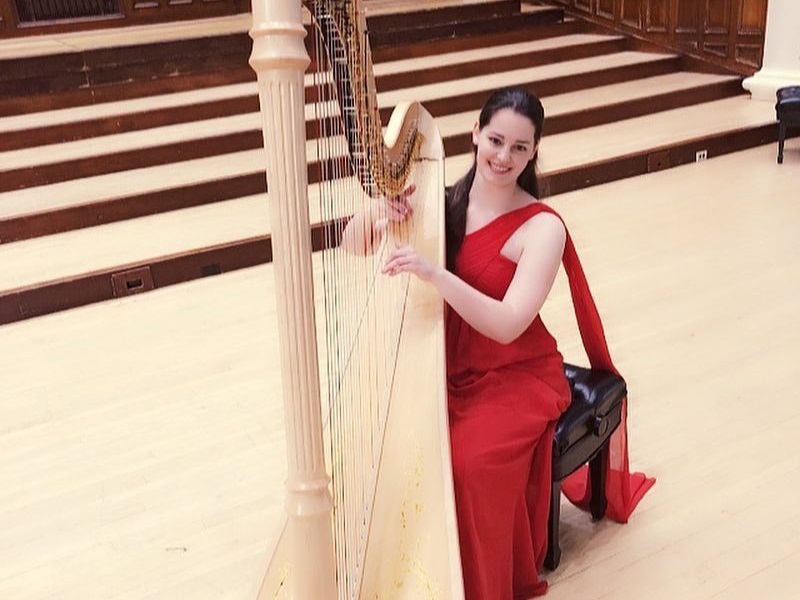 Abigail Kent was awarded 1st Prize in the 2017 American Harp Society National Competition, Young Professional Division, earning her the title of AHS Concert Artist for 2017-2019. As Concert Artist, Abigail has presented recitals and masterclasses throughout the United States and Canada. 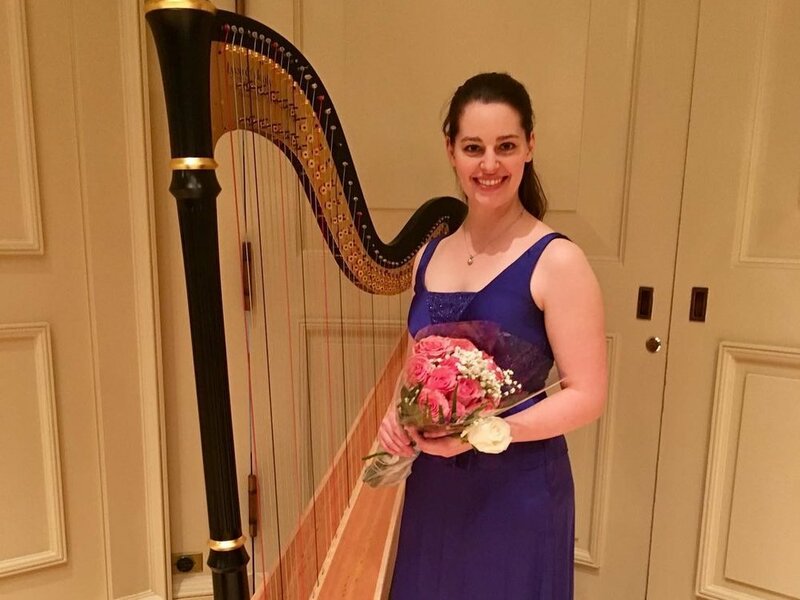 A graduate of the Curtis Institute of Music, studying with Elizabeth Hainen, Abigail is currently pursuing a Master of Music degree in harp performance at the Mannes School of Music in New York City, studying with Emmanuel Ceysson. Today we spoke with Abigail about her tenure and advice for future competitors. What have you loved most about being the AHS Concert Artist? Kent: Besides the incredible opportunity to travel all over to perform recitals, I would have to say my favorite aspect of my tenure as Concert Artist is working with masterclass students. I have always loved the idea of teaching and my first masterclass as Concert Artist was the first time I taught formally. Throughout my tenure, I simply wanted to keep teaching and finding better ways to communicate my ideas to the students. For me, the hardest thing about masterclasses was the limited time! I tried to focus on the most important aspects of a piece or try to show the students a different perspective. That way, any work I had not covered could at least be explored by the students themselves. Kent: Continuing on my love of teaching, my favorite memories are days that were full of teaching! The first was when I visited Provo, Utah, where I was being asked to perform for the annual Utah Harp Festival as Concert Artist. After arriving in the morning the day before the festival, I went straight to teaching various students who wanted help for the competition the next day. I taught all afternoon and even into the evening! It was tiring for sure, but I definitely loved working with every student. At the festival itself, I gave a formal masterclass following my recital and later in the day was also one of the judges for the older divisions of the festival competition – a first for me. I was also in Odessa, TX, and Vincent Pierce, who is in charge of the AHS chapter there, took me all over to the various schools where he taught, from the high school students over to the middle school classroom, and finally lessons for his college students. Most recently, I went to the University of North Carolina School of the Arts in Winston-Salem, the location of the upcoming 2019 AHS Summer Institute and National Competition. I was hosted by Jacquelyn Bartlett, my high school teacher and co-chair of the Institute. The day after my recital, we started bright and early with the students. I gave a masterclass for all the harpists at UNCSA and then drove with Jacquelyn to give a masterclass to her private students. Any tips for the competitors preparing to compete this year? Kent: There are many things that you can do to navigate competitions and have a positive experience. Firstly, remember this is music. We’re meant to evoke something, usually an emotion or a “picture” or a “story.” Communicate that to the audience always. Of course, being note-accurate will help you in that you will be playing the right harmonies, rhythms, etc. to share the full story of the piece. But you must be more than a machine who punches out the right notes at the right time – be the player who takes the audience on a journey. A tip that helped me was recording and listening to myself with my phone or a simple recording device, and being honest with what I heard, as if I were judging someone else. Do you like what you hear? What would you like to hear more of? Also, playing for many different people, including harpists, non-harpist musicians, as well as non-musicians, can show you things you wouldn’t necessarily notice. It also helps to prepare by playing in stressful situations to simulate what you might feel in a competition so it’s not as intimidating when you walk onstage and you’re more able to express the music. Any advice for the new 2019-2021 AHS Concert Artist? Kent: For the new Concert Artist, I would say pace yourself, in whatever way you know best. For me, that was grouping two or sometimes three AHS chapter events in a weekend with often a break in between the clusters. For other people, they may want to spread out the chapters more evenly. Also, make sure if you’re still in school that you’re able to juggle your educational demands with scheduling the AHS concerts. Being Concert Artist includes lots of emails, scheduling, promotion, and buying plane/train tickets, so try to avoid a situation where it all piles up. Keeping this in mind, don’t forget to enjoy this incredible experience. Be sure you get to know the many different people you meet along the way, and especially your AHS chapter hosts! Attend the National Competition this summer and stay for the Summer Institute! 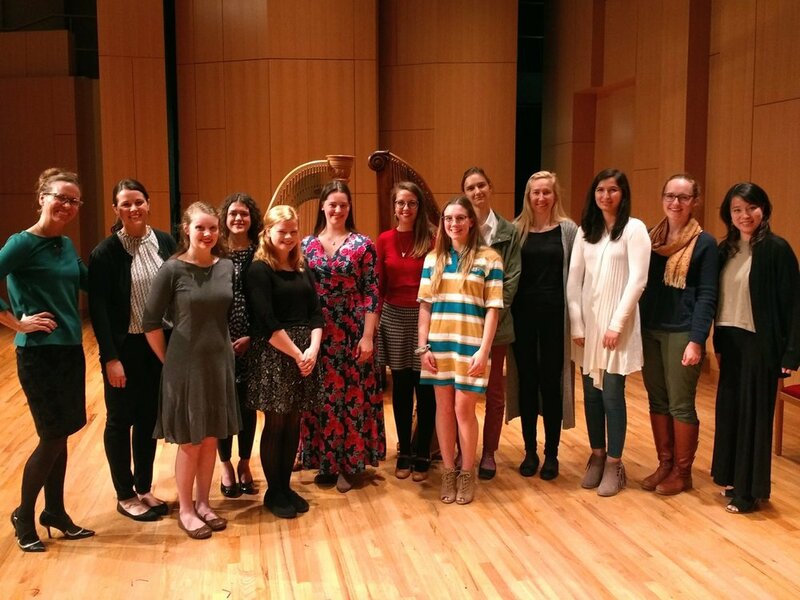 The 2019 American Harp Society National Competition will be held June 16-19, 2019 at the University of North Carolina School of the Arts in Winston-Salem, NC. Attendance to the competition finals are free and open to the public. The AHS Summer Institute will be held June 19-22, 2019 following the Competition. Campus housing will be available from June 16th through the 22nd. Students ages 12-17 can also join us for the AHS 2019 Camp Innovation and stay on campus in supervised residential housing. There will be public evening concerts for the entire week, Monday through Friday. Abigail will present the opening recital for the AHS Summer Institute on Wednesday, June 19, 2019 at 1:00PM and will be the keynote speaker at the opening membership gathering and dessert reception that will follow her performance. In addition, Abigail will serve on a panel discussion on competition preparation with Maria Luisa Rayan and Ann Yeung on Friday, June 21, 2019 at 3:00PM and 3:45PM during the Institute. Make plans to join us! Event details and registration information is available on AHSSummerInstitute.org. Newer PostThe Young Composers Project offers young harpists a unique opportunity to share their original compositions! Older PostElisabeth Remy Johnson, Principal Harpist of the Atlanta Symphony offers insight into orchestra life!